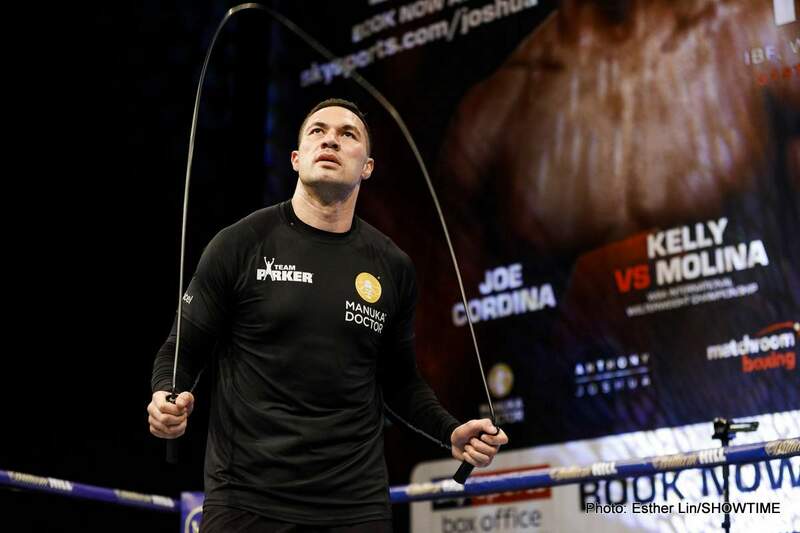 Joseph Parker Vs. Lucas Browne: Who Wins The Battle Of New Zealand Vs. Australia? It would be a huge fight in either Australia or New Zealand and heavyweights in need of a big win Joseph Parker and Lucas Browne are in talks to try and make it happen. Both men are coming off a loss to British heavyweight star Dillian Whyte, Browne being brutally despatched and left face-down in the sixth-round back in March, Parker losing a desperately hard-fought battle over 12 gruelling rounds last month. Now set for a ‘trans-Tasman’ clash in the near future, Parker and Browne just might give us a good action fight. Looking at the fight, though, it does seem as though the far younger Parker (26 to Browne’s 39) would be the big favourite to win. But Browne, a big man who, the Whyte fight aside, has shown a good chin, might give it all he has in this, really a must-win fight for both. Browne says he will not be ready for as big a fight as one with Parker until next year, that the knee he injured in the Whyte fight has to be sorted out first. The word is Browne will return to the ring in September, against tall US journeyman Julius Long. Browne, 25-1(22) fully admits his performance in the Whyte fight was “poor,” but he also insists that after a return fight or two (a fight between Browne and British heavy David Allen has also been mentioned as something of a possibility) he can come again, in better shape. But Parker, who has those fast hands and who came so close to taking Whyte out in the final round of their July rumble, really does seem to be the fresher, faster and less worn fighter of the two. Parker, 24-2(18) has already won a world title with the WBO belt he briefly held, and his fans feel he can reach those heights again. Parker will be in no mood to let Browne stop him from doing so. In this part of the world a Browne-Parker collision would be big. You are here: Home / Boxing News / Joseph Parker Vs. Lucas Browne: Who Wins The Battle Of New Zealand Vs. Australia?